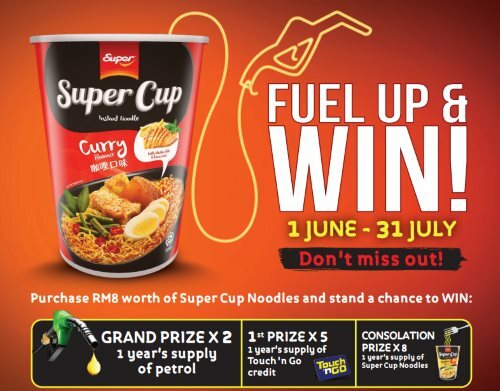 Buy RM8 worth of Super Cup Noodles or Super Cup Signature Noodles in a single receipt. ANSWER this simple question: Super is giving away 1 year's supply of petrol: YES or NO. COMPLETE the Contest Form and mail it to the address on the Contest Form together with your receipt as proof of purchase. Visit Fuel Up & Win contest page for more details.